As I stopped to think about the past year, so much has happened and some of it now seems so long ago! But it was a fun year in many ways, and here are some of the things that stand out for me about 2011. -Seeing Zenyatta paraded at Keeneland upon her arrival in Kentucky. People of all ages were five, six or more deep, straining for a glimpse. The entire event, with its party atmosphere on a bitterly cold night, was almost surreal. On that night, Zenyatta was a no less than a rock star greeting her fans. Truthfully, who could ever have predicted such a thing? -Seeing the three different winners of the Triple Crown races. And all three horses are scheduled to race in 2012. Fantastic! -Speaking of the Triple Crown, to me, it was nice that each of the race winners had reasonable names. Some of the names I saw this year, while they may have been humorous, just didn’t seem to have much dignity about them–especially if the horse is Triple Crown caliber. But, that’s just my opinion; please don’t email me! I already know plenty of people who disagree with me. -Taking my sister and brother in-law to see the babies at Summerwind Farm, among them the hours-old filly out of Fleet Indian. 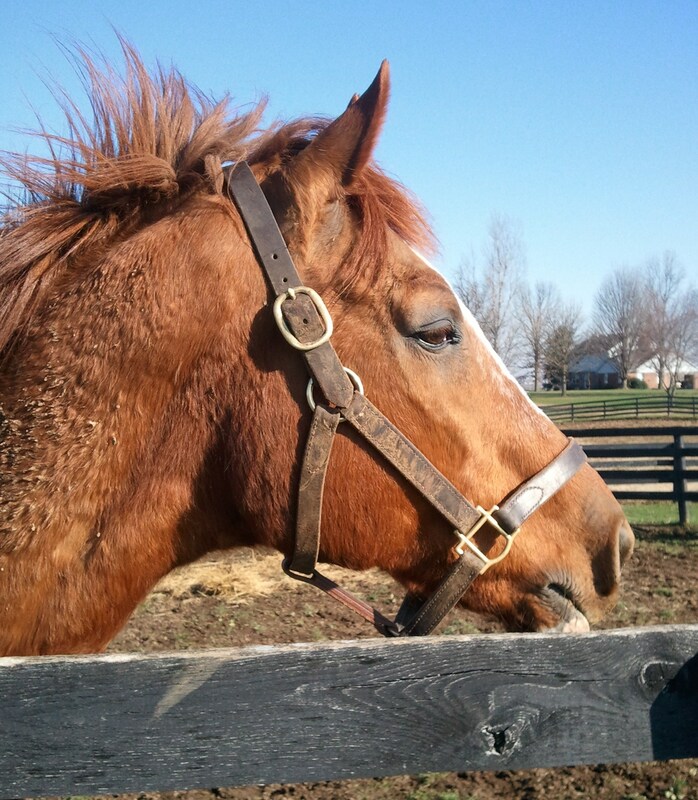 Sadly of course, Fleet Indian was among the horses we lost later in 2011. I won’t forget that day, nor will I forget Fleet Indian. -Seeing offspring and descendants of Old Friends stallions race and win at the highest levels. Get Stormy and Court Vision, especially–thank you. -Keeneland. Just so darn much fun, no matter how many times I go. It’s a place, along with Churchill Downs, that every race fan should try to visit. 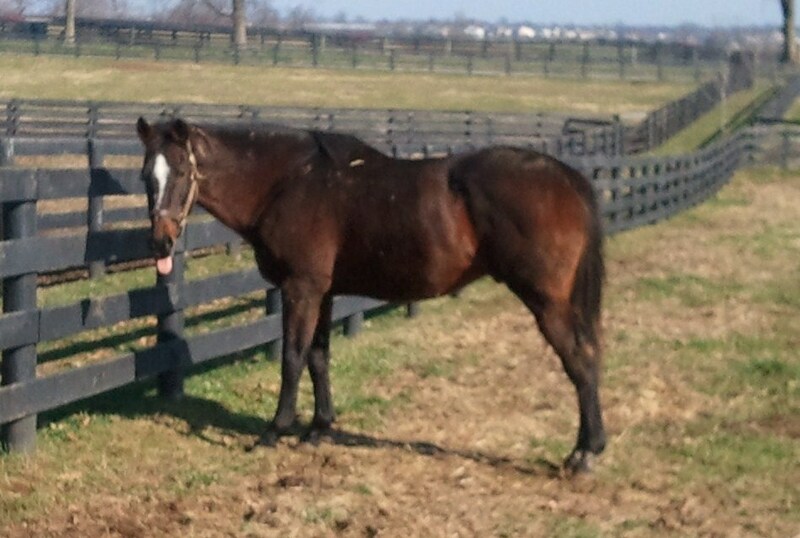 -I appreciate any time I visit one of the big stud farms to see stallions. Any farm that welcomes fans gets a gold star in my book because while I may not own or breed racehorses, I am a huge fan of the sport. Without exception, the people I meet are so nice and welcoming of my casual fandom. 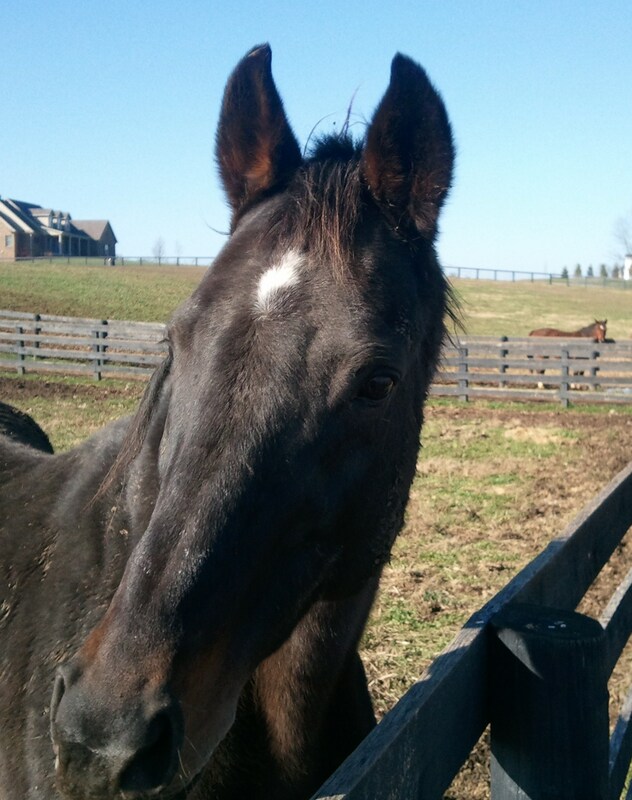 And seeing horses like AP Indy or Bernardini or Tiznow is a flat-out thrill for me. So thanks to those farms I have visited over the past year or so —Lane’s End, Darley, Winstar, Adena Springs, Three Chimneys, Spendthrift, Ashford and Gainesway, among others. -Watching Afternoon Deelites strut off the trailer the day he arrived at Old Friends. He was, and is, so full of himself! -Breeder’s Cup 2011. Far, far nicer weather than Breeder’s Cup 2010. -I was caught off guard by seeing Awad’s name on the 2011 list of equine deaths in the Blood Horse magazine, and it was hard to see. Moving down the list of stallions were the names Glitterman, Polish Navy, Jade Hunter and The Wicked North. And that was just the stallions. Old Friends lost mares and geldings as well. I miss each one of those old horses. -Some of the really terrific kids I met on tours at Old Friends: the little girl with the bow in her hair who wandered all over with Marley, the boy who was a natural little horseman. But especially memorable is every child who starts out afraid of horses and ends up kissing noses with abandon. -How great it’s been to see both I’m Charismatic and Stormy Passage go from injured and stall-bound to happy (and muddy!) outside horses. -The new stallions at Old Friends (AD, Patton, Prized and You and I) who have turned out to be entertaining and fun to be around. And, especially in the case of Patton, just plain nice. -The 2011 Secretariat Festival. So many Secretariat fans of all ages, from all over the world, packed into tiny Paris, Kentucky. I think it might have been the happiest place I have been to in some time. What fun! -Speaking of Secretariat: the lady who came to Old Friends decked out in Meadow Stable blue from head to toe—including her rather elaborate manicure. 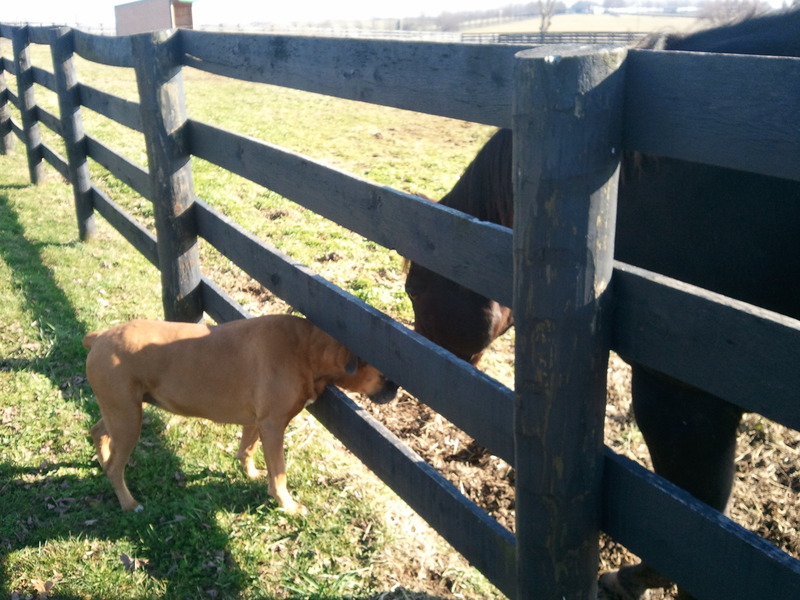 She was The Ultimate Secretariat Fan! -Spending Sundays with my co-volunteers Bea and Roberta. Wonderful people, both of them. -All the really nice readers of this blog who came to the farm and introduced themselves. I am often taken aback by how many blog readers are out there. Thank you all. I’m sure the list could go on even longer. Post a comment, and let us know what you remember most about the past year. Thank you all for spending 2011 with Old Friends. Here’s wishing everyone a most Happy New Year! P.S. Happy 31st birthday, Gramps! You are something special. Merry Christmas and Happy New Year from all the critters (equine, canine and feline) at Old Friends! 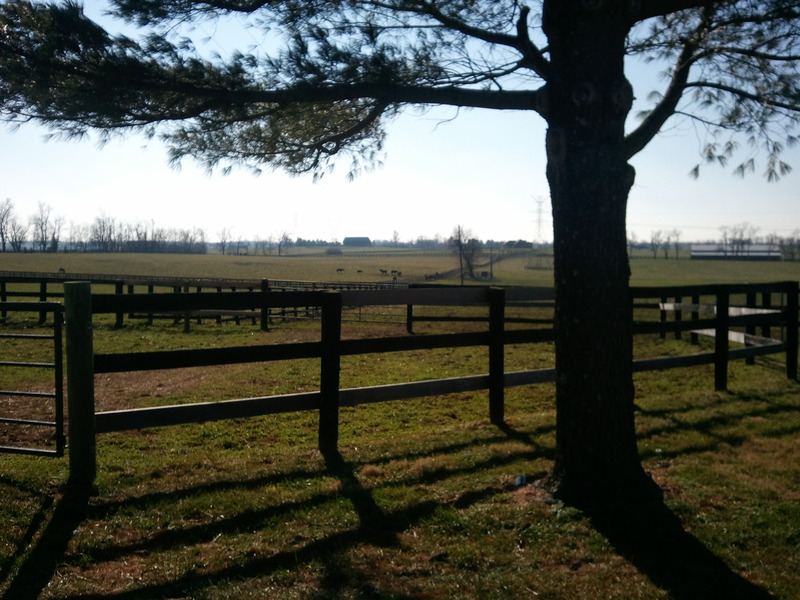 It was a gorgeous day in central Kentucky, bright and sunny. With temperatures in the upper 30s, it was great weather to be a horse—warm enough for a nap, cool enough that wooly winter coats weren’t too warm. It seemed like a good time to take some photos. After a couple weeks off, it’s nice to be back on my Sunday routine. We’ve made a scheduling change to our Sunday tours—for the winter months we’ll be offering one Sunday tour, at 11 am. Sundays are pretty slow in the winter months, and we figured an 11 am tour takes advantage of arguably the warmest part of cold winter days, for the hardy souls who still want to visit the farm! So today being my first short winter day, of course we had no tours scheduled. And as much as I enjoy introducing our horses to visitors, there is something especially, selfishly, wonderful about having time to wander from horse to horse all by myself. (Well, alone unless you count Marley!) With no carrot bucket in hand, the horses come over for attention, not treats. The difference is quite remarkable. Instead of focusing on eating, the horses want to play or have their faces rubbed or give kisses. The pace is slower. If one of the horses is napping, that’s fine. He’ll catch me later, or maybe not at all this time. Although I can say every horse I visited, save one, came over to say hi. The one? Gulch. Surprise! 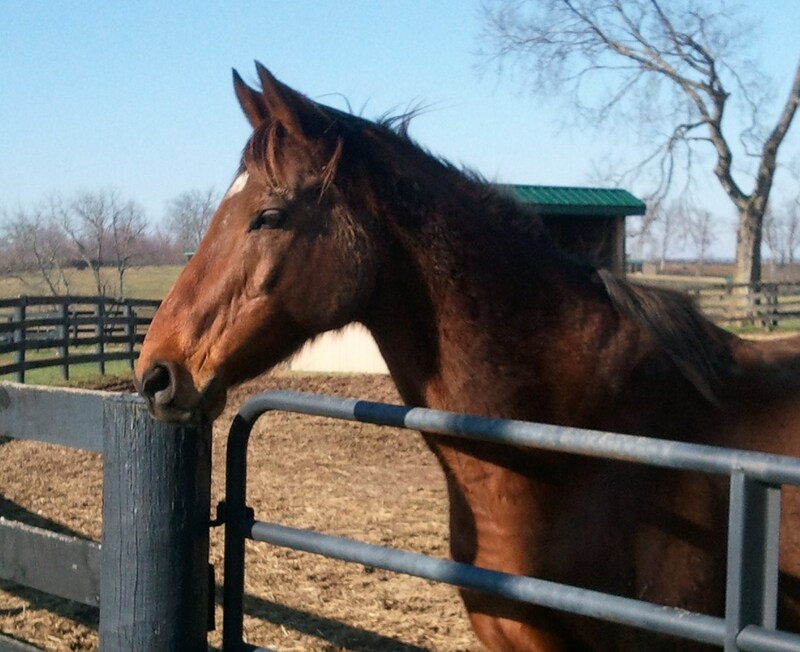 Marquetry went outside to the small round pen today, for the first time since his surgery. He wanted so badly to buck and play but the round pen is small for a reason, and he didn’t have space enough to get up any kind of speed. So he contented himself with some head tossing, a few jogging steps and an eventual nap in the sunshine. Marq looks great—you can barely see where his belly was shaved for the surgery and although he has shed a few extra pounds, he still has his bright orange coat and the sparkle in his eye. Although truth be told, he wasn’t outside long before he was covered in mud from head to hoof. As I wander from horse to horse, I mostly lean on the paddock fence and wait for them to stroll over. Patton saw me coming and he didn’t waste time with passive greetings or a pat on the nose. No, he goes right for the kisses. He stuck his nose right in my face and huffed until he fogged up my sunglasses. Then, he laid his head on my shoulder and we chatted for a bit. He is such a kind horse, without a mean or cranky bone in his body. He is undoubtedly one of the nicest stallions you’ll ever meet. On the other hand, if there are no carrots, Sunshine figures I must be there to play. He tosses his head, nibbles on my sleeve, and licks and drools all over me. He really likes to rub his face on me, and since he is not a little horse I kind of have to hang on to the fence or he’ll knock me over. I’ve always thought that playfulness makes Sunshine one of the most fun horses to interact with, and today was no exception. 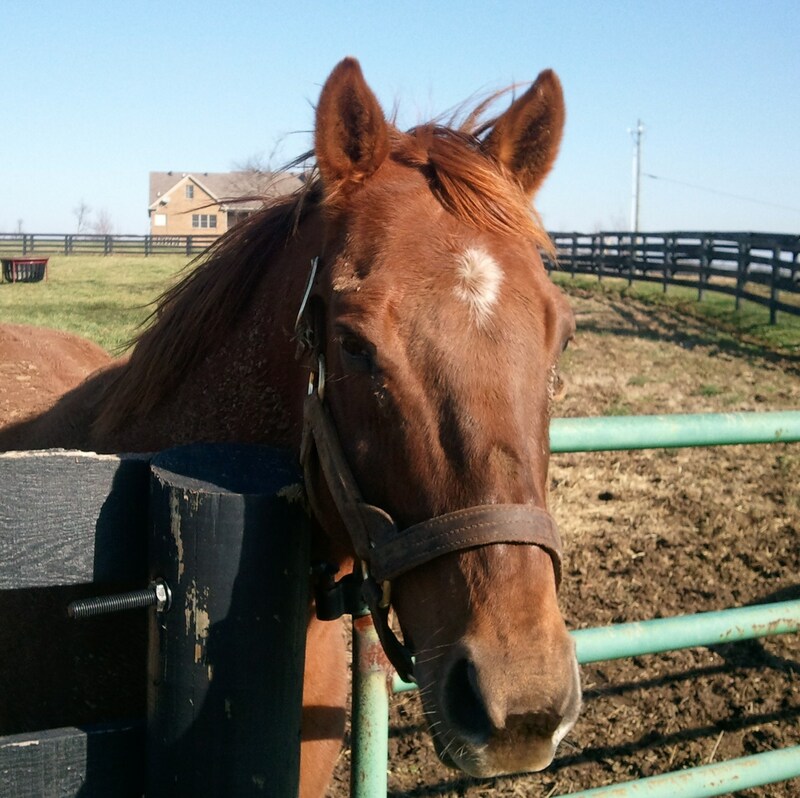 I also think Sunshine is kind of showing his age more of late, and so I appreciated the time with him today. 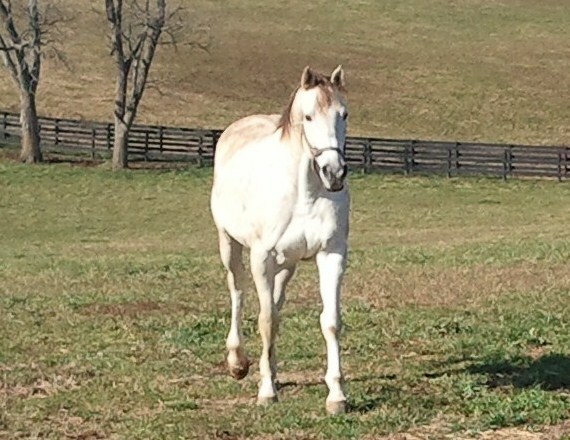 Another horse that I think is going to turn out to be a sweetheart is You and I. He is such a pretty, almost delicate stallion, although that is probably as much a function of him living near the much larger Sunshine Forever and even Prized. But You was more than happy to cuddle right up to me and he stood blissfully while I rubbed his face, his ears and his nose. He even liked it when I rubbed the dirt off around his eyes. He sucked on a peppermint all the while, then gave me a kiss and wandered off. Without carrots in hand, one of the horses who rarely comes to visit is Leave Seattle. But he started to walk over as he saw me fussing with You and I, so I leaned against his fence and waited for him. I didn’t move and surprisingly, Leave came right up to me and nuzzled my arm. Then, he stretched his head out toward me and let me plant a kiss on his nose! Now, you have to understand how shocking this is, because normally Leave would just as soon nip at me. Of course, lest I think he has completely mellowed, when I tried to pat him– he tried to bite me! We have two new residents—one new to Old Friends and one transferred from foster care in Michigan. Our newest horse is Fabulous Strike and our transfer is Mikethespike. I didn’t meet Mike today—he has joined one of the large pastures of geldings at the back of the main farm and I didn’t wander that far. But I have met Fabulous Strike. Although I suspect he’ll be bay in the summer, with his winter coat he is very dark with a white back foot and a small white star on his forehead. He is a big, strong gelding and seems really nice. I’ve visited with him a couple times now and my first impressions are these: 1. Not a mint fan. 2. Really likes to play. 3. Going to LOVE getting regular visitors! You can see Strike’s pedigree here. 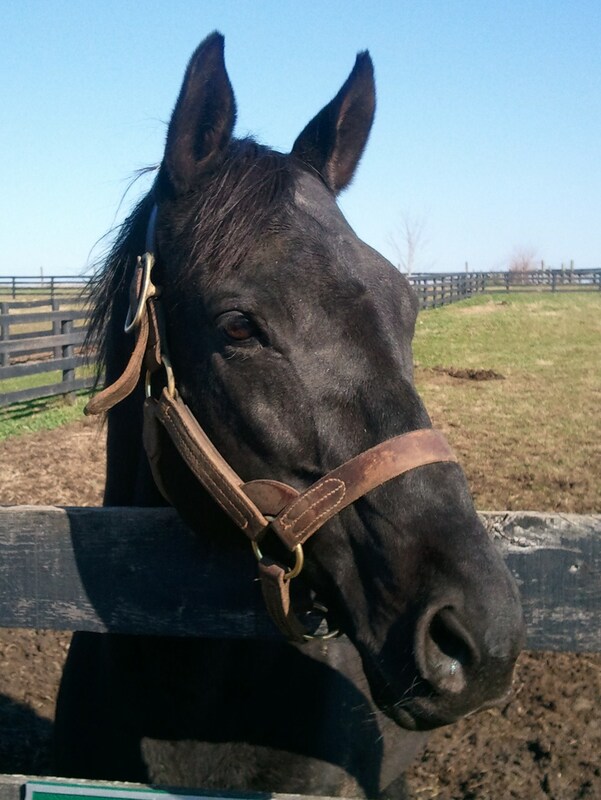 And Mike’s info is here— notice his broodmare sire is our own Black Tie Affair! I finished up my day with a visit to the new farm in Midway, where my friend Wallenda resides. 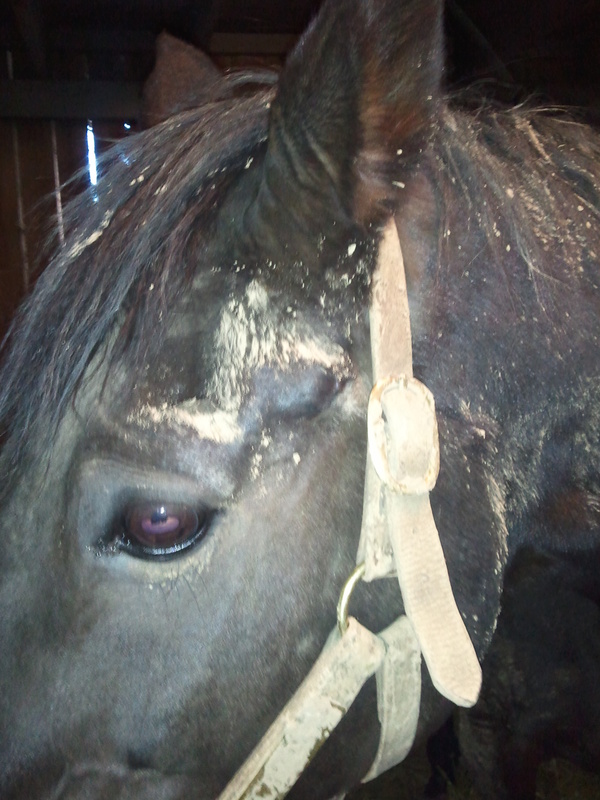 Another horse to loves to play, I brushed mud off him, we played tug o’ war with my jacket, he slobbered on me some and then we just hung out for a while. All in all, it was a fine and satisfying day. If you are planning to visit us during the winter months, we really appreciate reservations. Tours are available every day—check with the office for times and to make a reservation. In the meantime, thanks for sharing this Sunday with Old Friends!